I always try to be conscious about what I give Darcy to snack on, especially hard when Darcy is slowly starting to reel off all the things she has decided she no longer likes to eat. 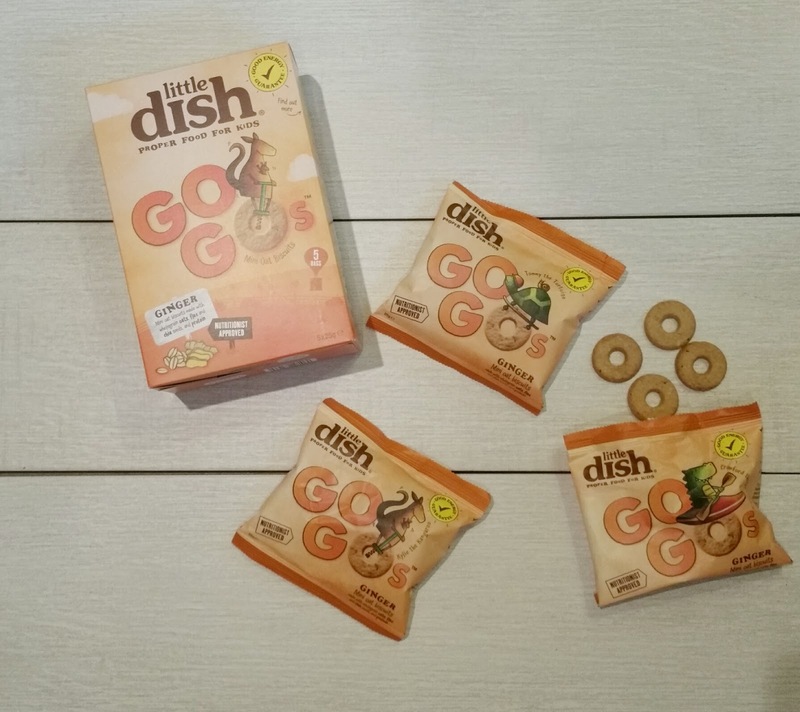 Little Go Gos are delicious mini wholegrain oat biscuits. 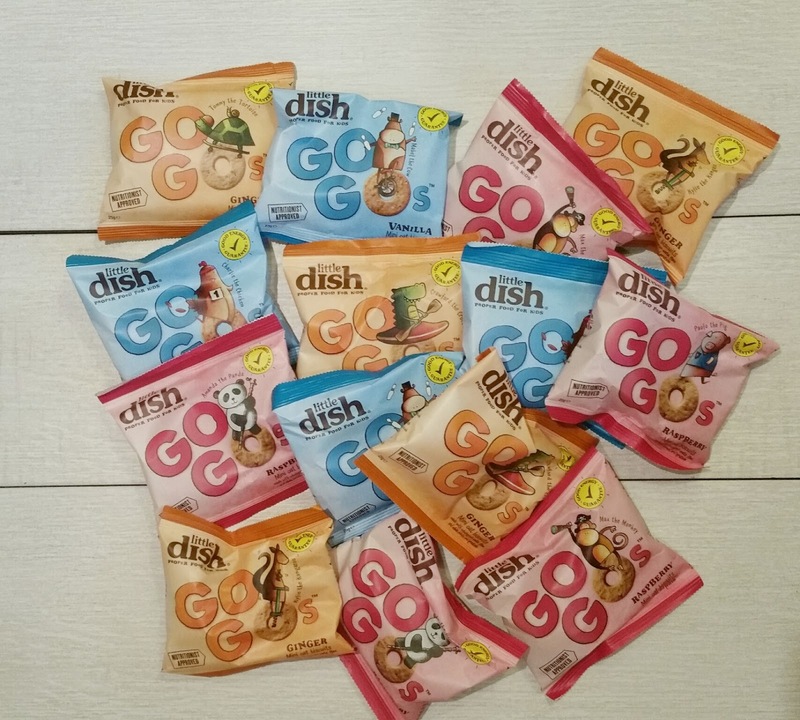 Made with chia and flax seeds and protein, they have been designed to release energy slowly. Each packet contains fibre and 3g of protein, which is important for growth and healthy muscles for little ones. 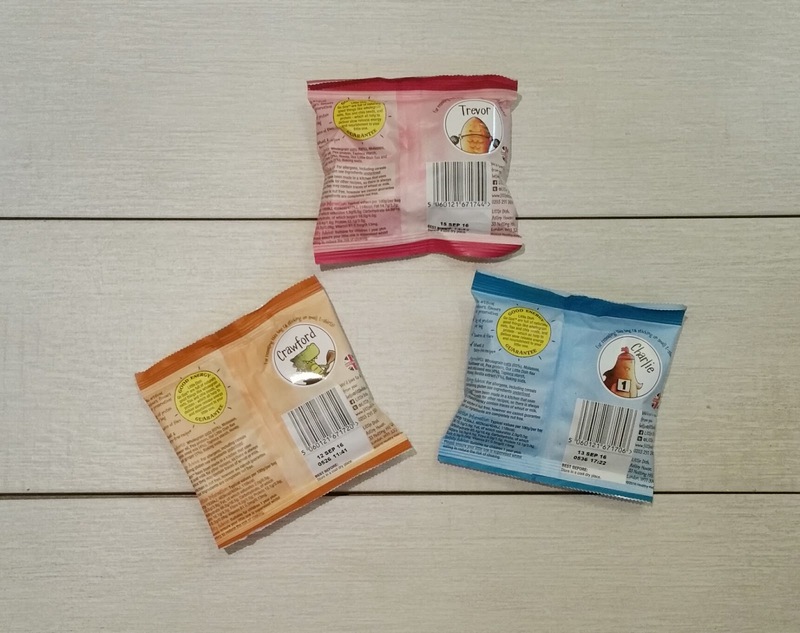 Little Go Gos are available in three flavours; Vanilla, Raspberry and Ginger. I felt that the Vanillia and Raspberry flavour weren't as flavoursome as the Ginger offering. Ginger turned out to be our favourite and it's definitely an healthier option than the Ginger Nut biscuits Darcy enjoys. The biscuits were not very sweet, which is definitely as a positive for me, as Darcy does like sweet items. They are rather oaty with a nice crunch, if i were to compare the texture to anything, i would say similar to an wholewheat biscuit. What I also enjoyed about Little Go Gos was the packaging. Each packet has a sticker on the back which could be put on clothing or used to reseal the packet, which is really handy for me as i am always finding leftover food and crumbs at the bottom of my bag due to Darcy's half eaten food. 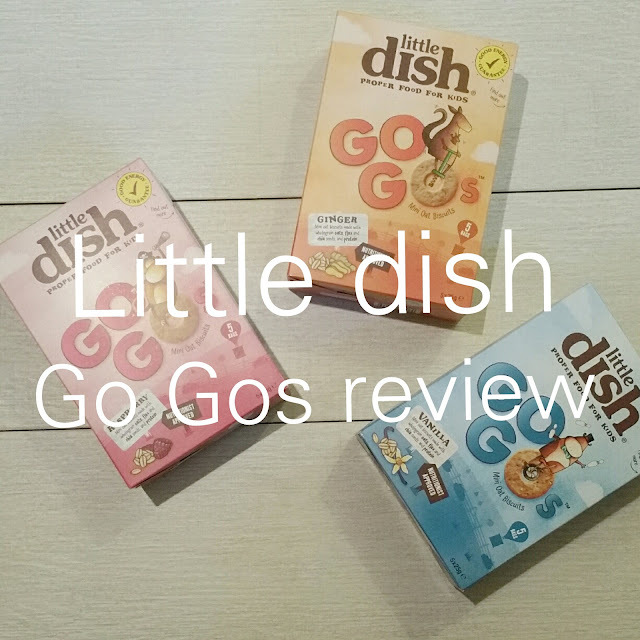 Little Go Gos are an delicious snack for both little ones and adults, we will definitely be purchasing them again. 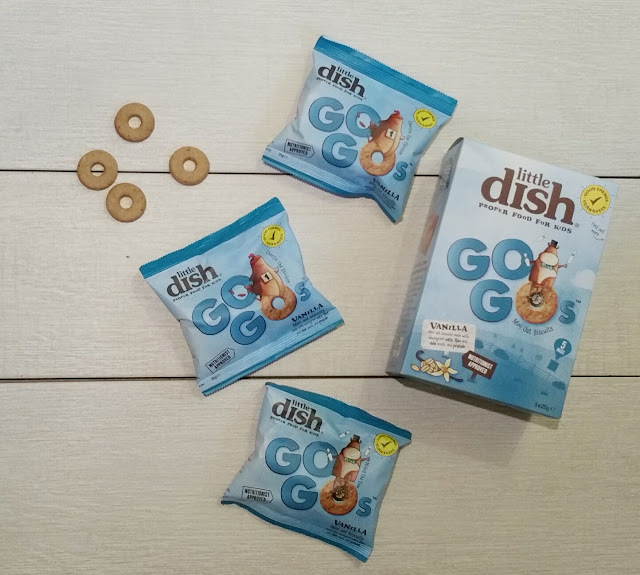 You can find Little Dish products in Asda, Sainsburys and Tesco and are suitable for 12 months upwards. 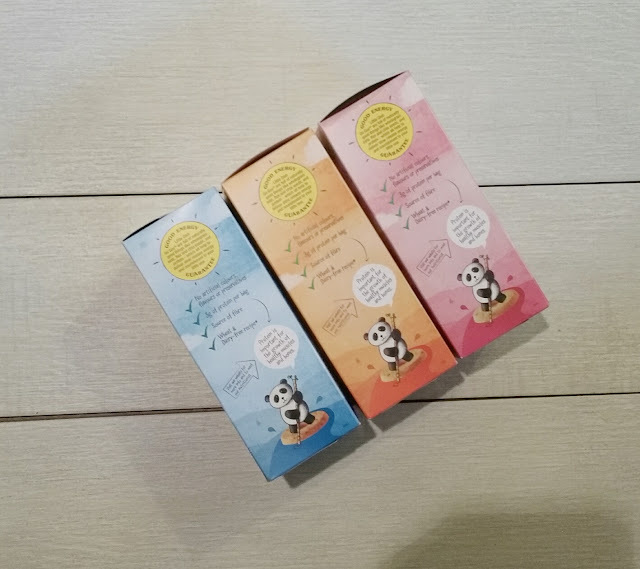 Disclaimer: I am a member of the Mumsnet Research Panel, a group of parents who have agreed to review products, services, events and brands for Mumsnet. I have not paid for the product, or to attend an event. I have full editorial control and retain full editorial integrity.